Playing blackjack on your smartphone is becoming more and more common-place. 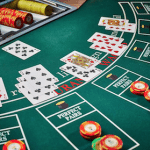 This article will run you through the best places to play real money blackjack games on your iPhone, iPad or Android devices. Security is paramount when you’re playing casino games and the each and every casino mobile application that we promote on Blackjack.com.au has been tested thoroughly, on both Apple and Android Devices. 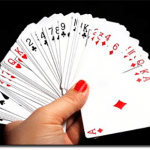 If you want to play blackjack via a downloadable app, players are very limited in choice. The majority of online casinos have made their mobile gaming experience instant-play, which is great, but some people like the stability of a downloadable app. The Royal Vegas App boasts upwards of 50 real money casino games and blackjack has not been neglected. While the choice of blackjack games is limited in comparison to Royal Vegas’s downloadable suite, our favourite game is definitely catered for. 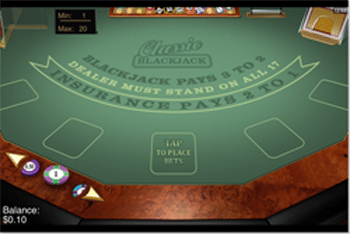 The blackjack game of choice on the Royal Vegas iPhone & Android app is Microgaming’s Classic Blackjack Gold Series, which has a slick interface. There is also Atlantic City Blackjack Gold and European Blackjack Gold available on the app. The minimum bet limit is $1, while the maximum you can wager per hand is $20, well below the table limits imposed on traditional iGaming platforms like PC which is disappointing. Because of strict laws, Apple is forbidden from providing real money gambling apps in the App store. So Royal Vegas online casino markets its app in the App store as Regal Vegas. Once you have downloaded the Regal Vegas app you will have the option of playing for play money at Regal Vegas, or real money at Royal Vegas. Just to be clear, it’s all in the one app. NB: It’s illegal to market real money casino apps in the Apple store, but it’s not illegal to download them, so the player is not in violation of any laws. Like the Apple version of the Royal Vegas app, the Android version is marketed in the Google Play marketplace as Regal Vegas. This app provides a strong platform to play blackjack on. The layout and functionality of the Android Royal Vegas app is outstanding with plenty of deposit options for a range of currencies. With the brilliant WiFi connections available nowadays, more and more online casinos are choosing to have both their computer-based casinos and smartphone websites entirely instant-play. This means you can visit an online casino, sign-up and begin playing games without having to download anything at all. Royal Vegas Mobile Casino – You can download the Royal Vegas App, but the mobile version of this Microgaming Casino is equally as good, if not better for blackjack players. Royal Vegas has Atlantic City Blackjack Gold and Classic Blackjack Gold available on its mobile website for both Android and iPhone customers. There are also plenty of deposit options, including Visa, Skrill and Neteller. 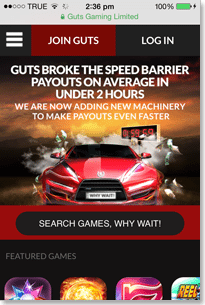 Guts Mobile Casino – Has an extensive array of games from different software providers with their mobile website featuring European Blackjack Gold Series (Microgaming), American Blackjack (Net Entertainment) and another Net Ent title just called Blackjack. There are high and low limit stakes games available. Guts also has the standard credit card deposit option available via mobile phone. Players are certainly not limited in how they can deposit money to their internet casino accounts. If you choose online casinos that cater for your local currency you should have no trouble funding your account. The common options included for major currencies like USD, NZD, GBP, EUR and CAD are Visa, MasterCard, Skrill, Neteller and several others. A web app is a short cut to a specific mobile page. For instance, if you regularly play blackjack at G’day Casino, you can visit their mobile website and hit the centre bottom button in your Safari browser. This will bring up a menu which has the option to “Add to Homepage”. This means you will then have an icon, on your home screen which will take you directly to G’day Casino. To build a Web App for Android it is as simple as visiting the mobile page that you wish to create one for. You then hit the Android Menu button and use the “Add to Homescreen” function, which will create a link on your mobile phone’s homepage. The beauty of Web Apps is that you can make them for any specific page on a website, so in our case, we could link directly to the online blackjack page of our choice.